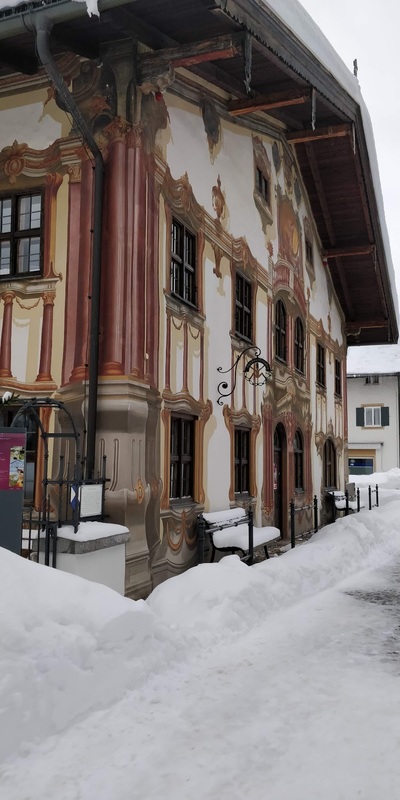 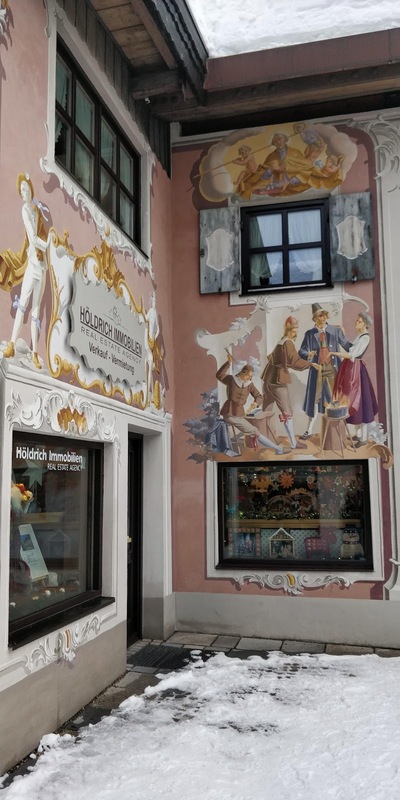 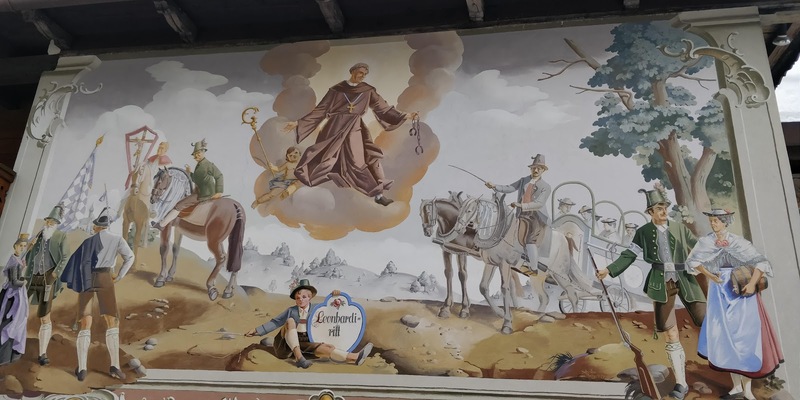 'Lüftlmalerei' is a handicraft method of wall-painting originally applied for decorating the baroque facades in Italy and Southern Germany. 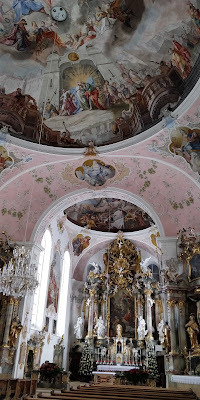 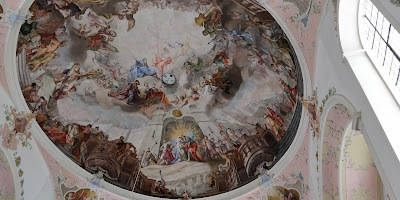 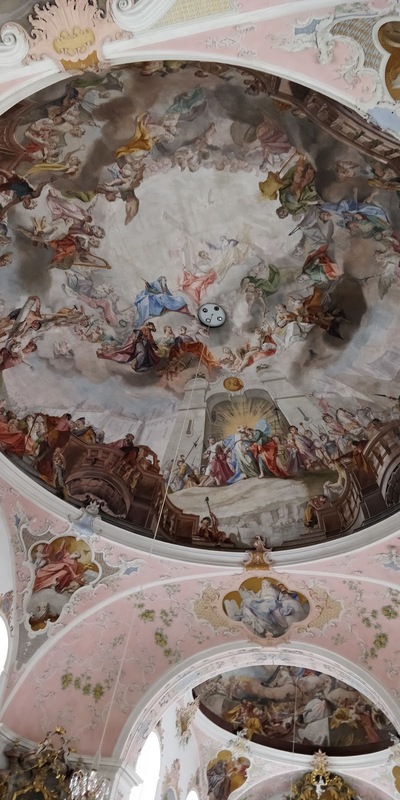 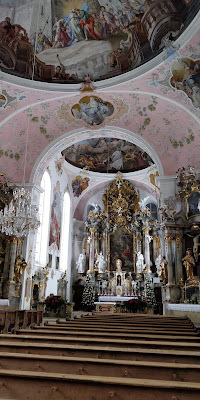 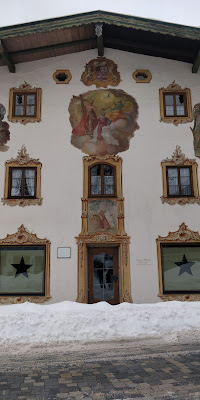 The House of Pilate has frescoes by Franz Seraph Zwinck and live demonstrations by woodcarvers and artists. Nearby, the Kölblhaus has a gabled roof and a painted exterior, also by Zwinck. 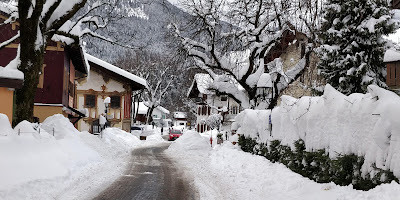 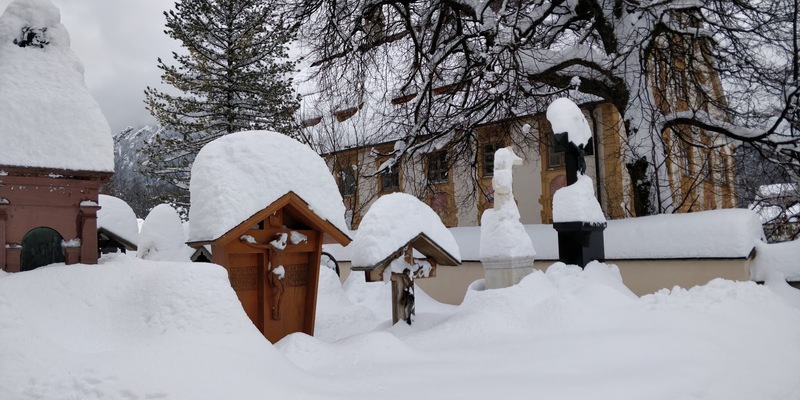 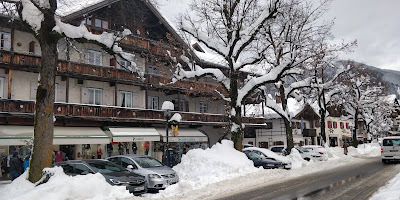 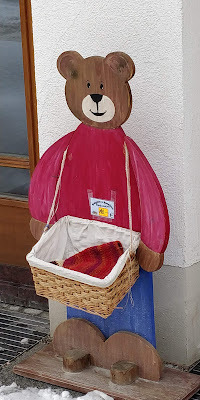 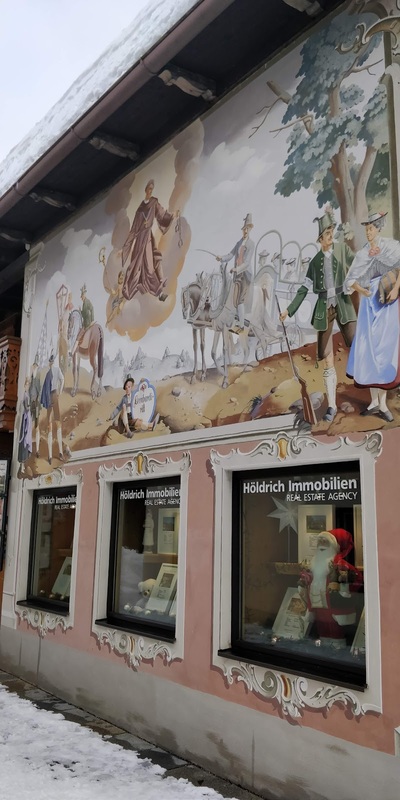 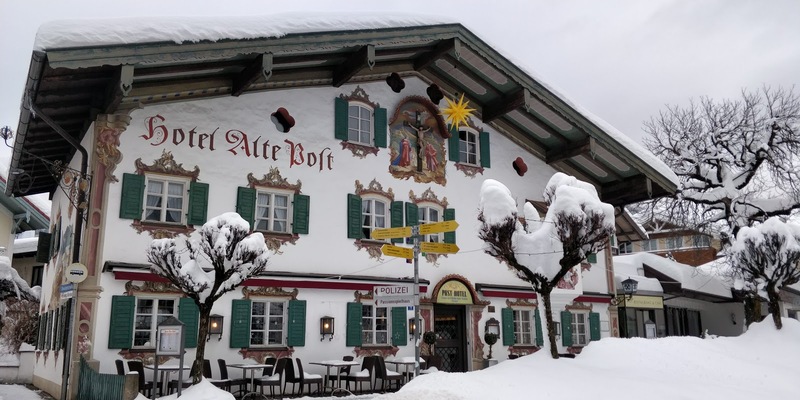 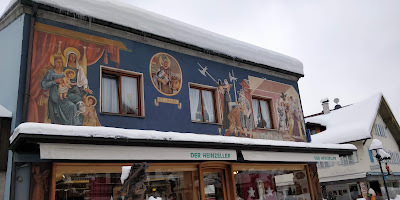 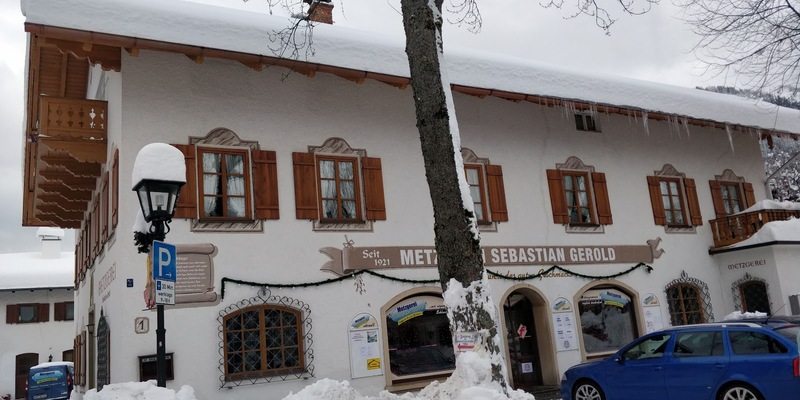 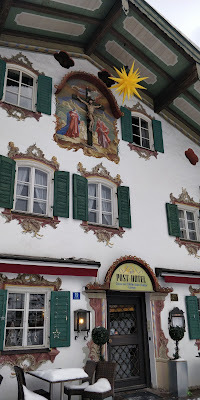 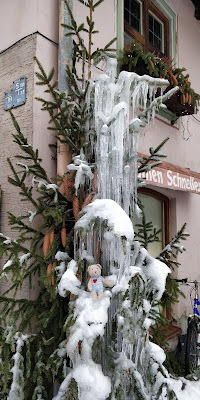 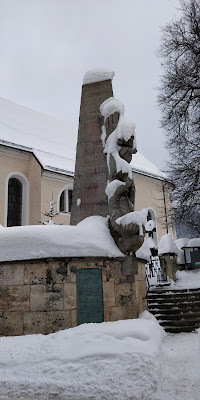 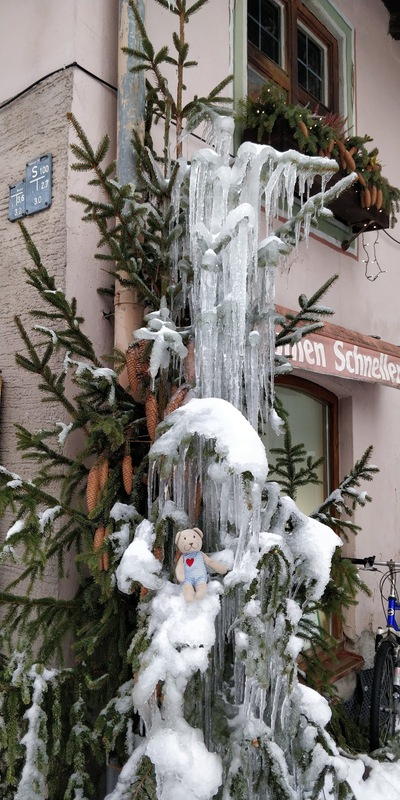 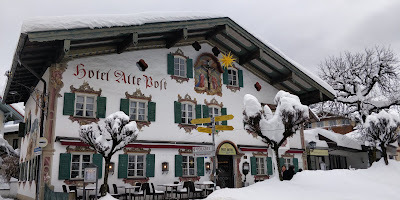 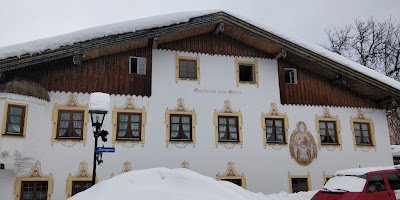 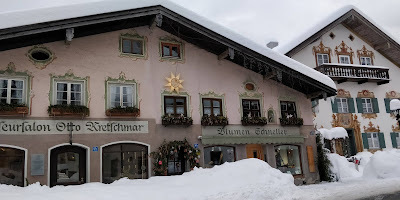 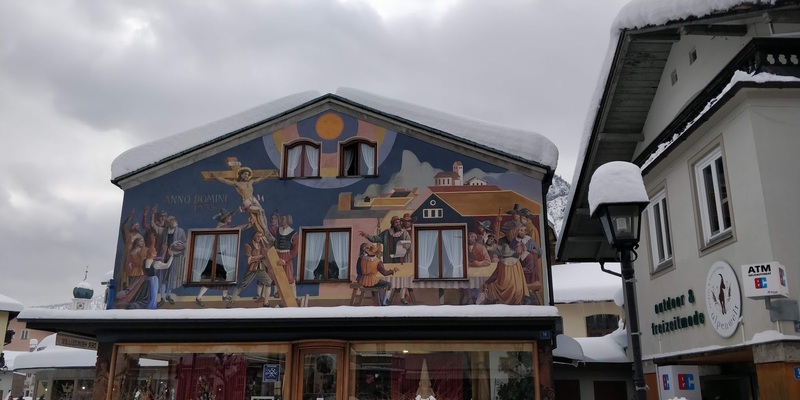 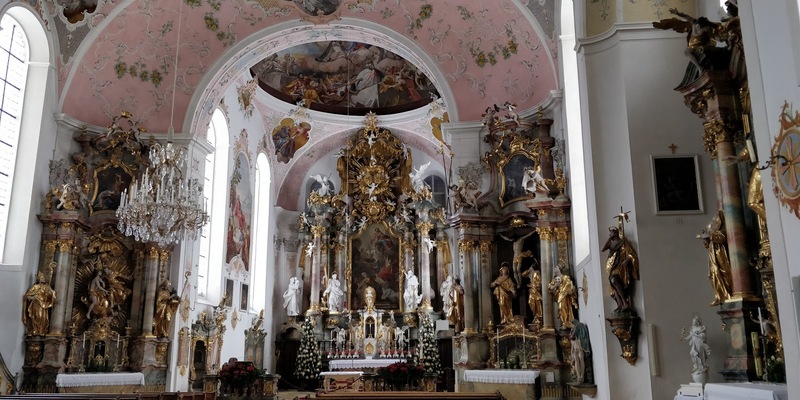 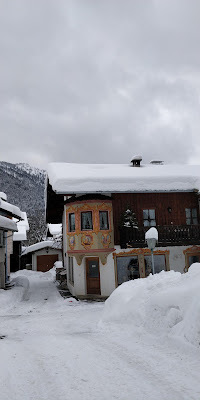 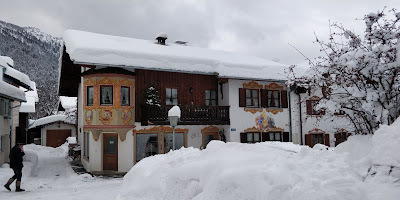 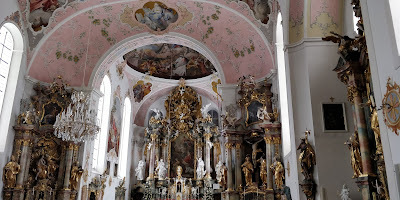 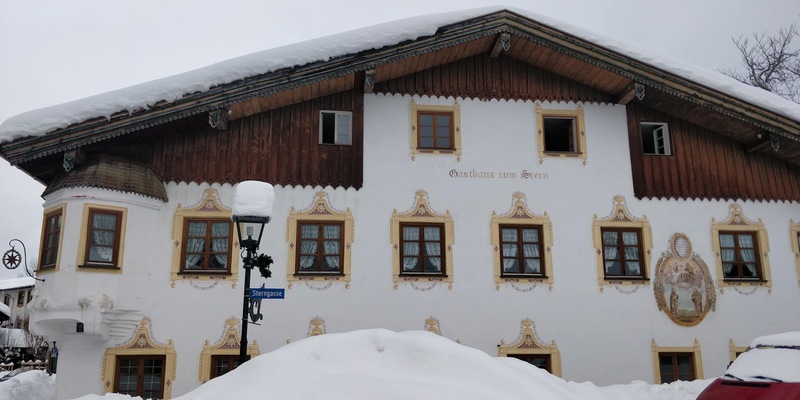 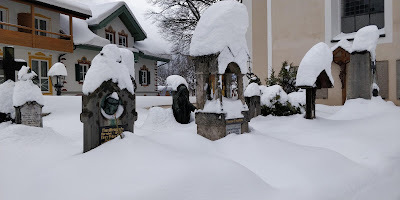 The Oberammergau Museum features woodcarvings by local artisans. 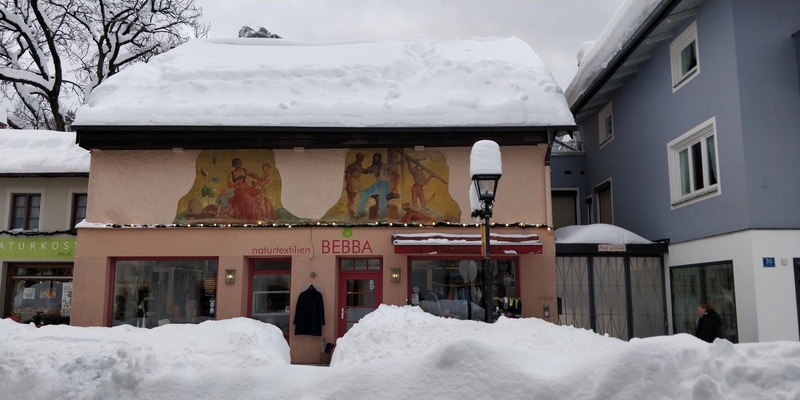 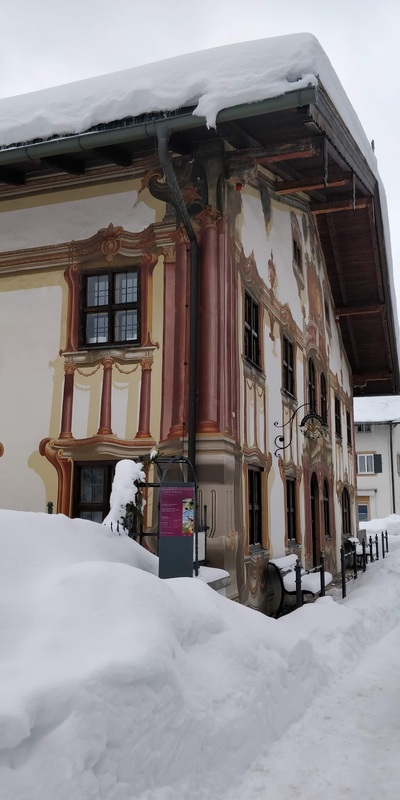 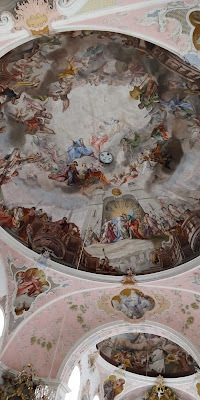 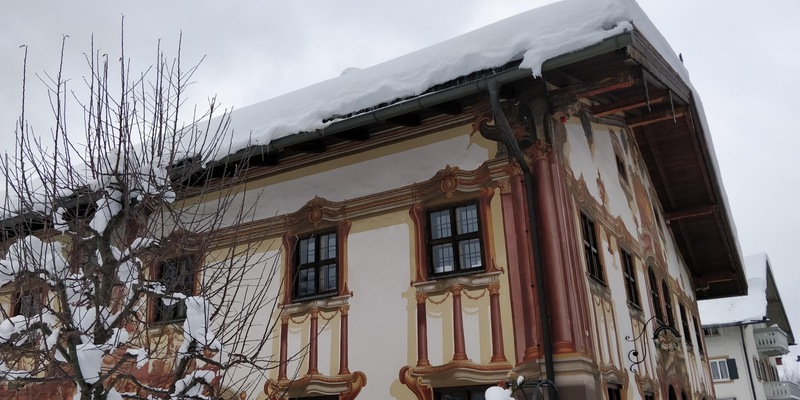 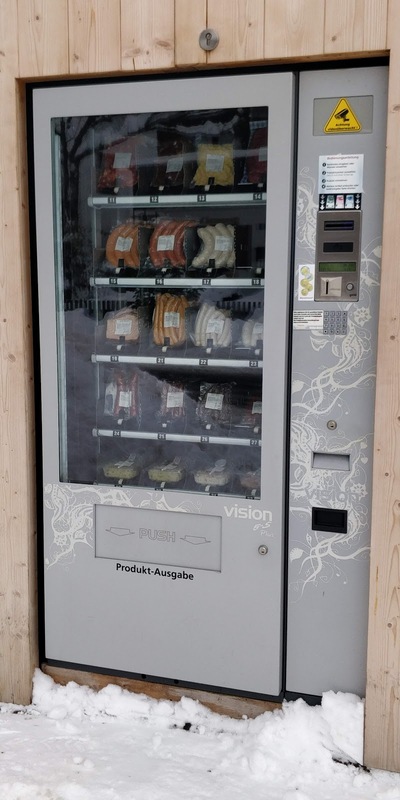 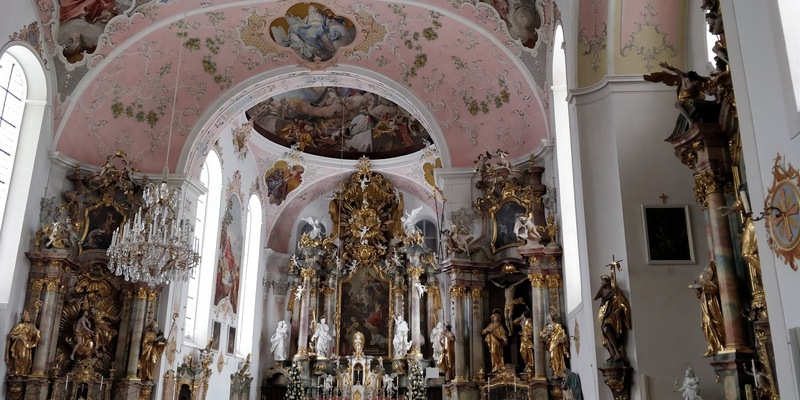 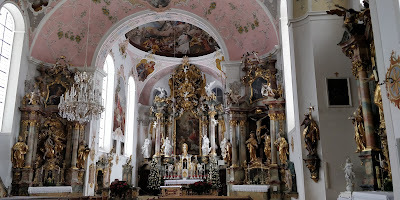 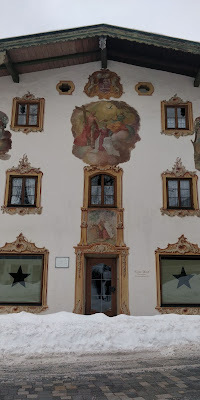 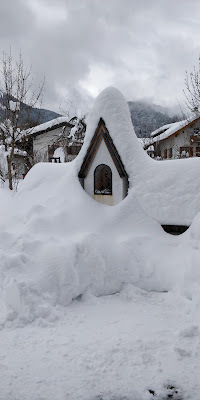 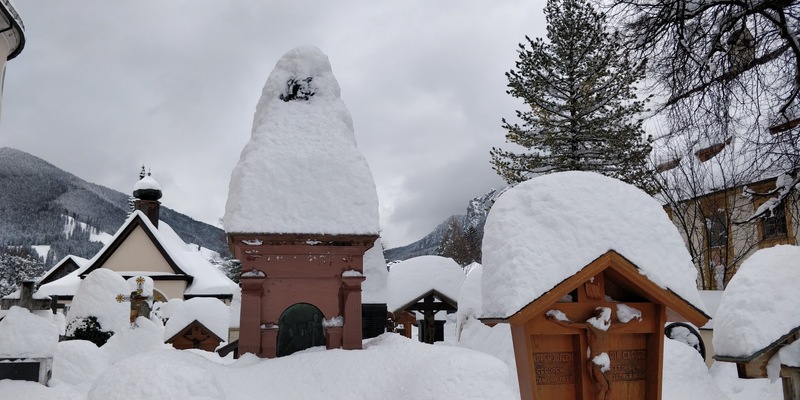 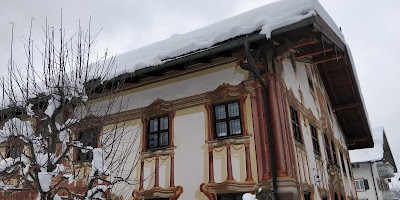 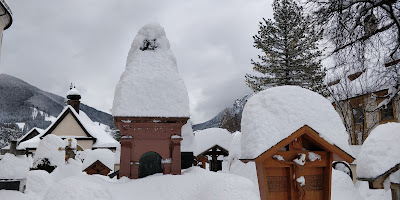 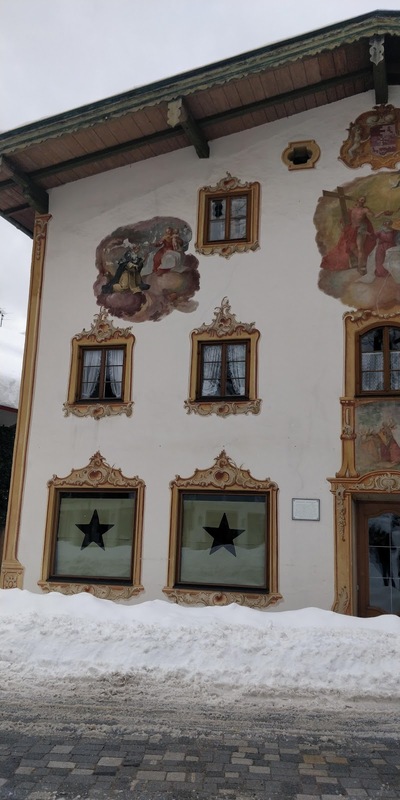 It was only in the 18th century that this method began to become popular in the foothill region of the Alps, where wealthy traders, peasants and craftsmen displayed their wealth by means of opulently painted facades.